"Be kind and share your cookies." Stir together the honey, oil, and eggs. Add the orange rind and salt. 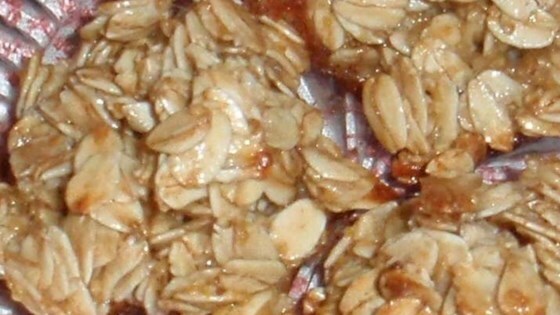 Mix in the oatmeal and stir well. Drop on cookie sheets and bake for 8 to 10 minutes. The oatmeal doesn't stick to the honey/oil/egg mixture. My cookie sheet was dripping with the mixture, and the "cookies" were clumps of oatmeal that fell apart instantly. Avoid this recipie! Is this recipe supposed to have FLOUR? It didn't work at all. It turned out little piles of oats sitting on puddles of honey-egg stuff. Not edible.